With Nissan recently pulling the covers off of their midsize SUV contender for 2018, we have our hands on the updated specs and features that the new kid on the block can bring to the table as it battles it out with the tried and true Toyota Fortuner. We’re gonna be looking at top spec variants for both models, highlighting the pros and cons of each of the following considerations: price, engine performance, size, safety features, and creature comforts/goodies. 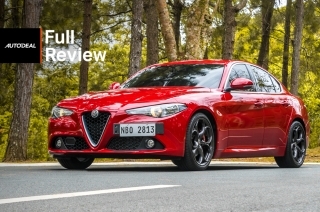 This is in no means a driving comparison, but a way for readers to see where each vehicle comes out on top when pitted against each other. 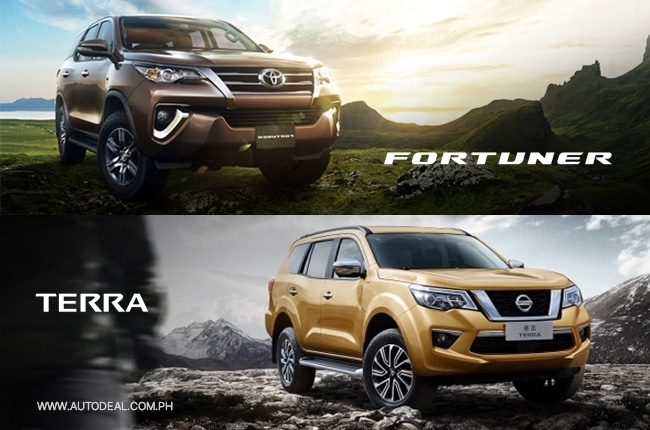 Right off the bat, the Nissan Terra 2.5 4x4 VL AT is easier on the wallet at P2,096,000 when compared to the P2,245,000 of the Toyota Fortuner 2.8 V Diesel 4x4 AT. That’s a sizeable P159,000 difference, especially when you take into consideration the goodies in the Terra. Nevertheless, the Fortuner does have a solid reputation and following. Also, the price difference could easily be compensated by financing. By pricing alone, the Terra takes a point. Here’s where things get really interesting. The Fortuner does pack the bigger engine, at 2.8-liters, and is mated to a 6-speed automatic transmission. The Nissan Terra has a smaller 2.5-liter mill, but is mated to a 7-speed automatic. 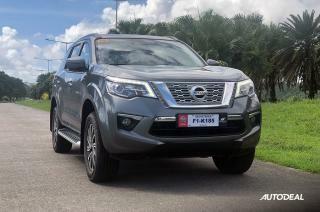 The Nissan actually has more horsepower despite the smaller engine, at 190 hp, trumping the Fortuner’s 174 hp. Torque figures are identical, though. Also, the extra gear on the Nissan Terra could help during long highway cruising to keep the revs down and increase fuel economy. The gear ratios should also be more accommodating to different driving conditions, creating a more flexible powerband. The Terra wins this category. 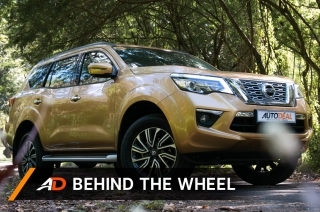 The Nissan Terra is the larger vehicle, in width (10mm wider), length (90mm longer), and wheelbase (105mm longer) when compared to the Fortuner. 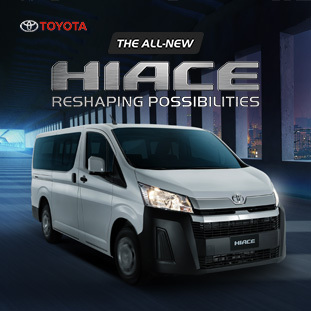 This translates to more passenger space, which increases comfort. 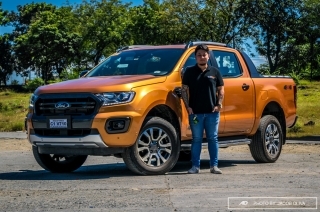 Both vehicles do have the same height (identical at 1,835mm), but the Terra does get a significant advantage in ground clearance at 225mm, a good 32mm over the Fortuner (192 mm), which is plus when clearing obstacles. The smaller Fortuner, however, has a smaller overall footprint, but not by much, making the ability to traverse tighter streets negligible. Looks like another point for the Terra. 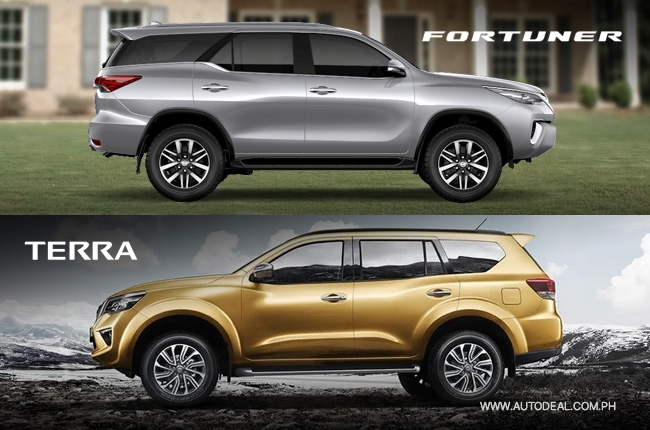 The Nissan Terra and Toyota Fortuner offer a lot of active and passive safety features to protect their passengers. 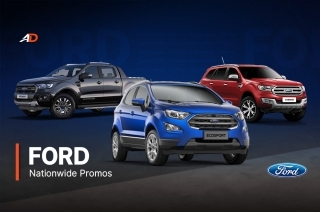 Both vehicles feature ABS (anti-lock brakes), EBD (electronic brake-force distribution), stability control, and a number of airbags. 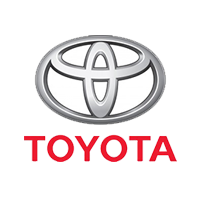 The Terra lacks the knee airbag of the Fortuner, but the rest, such as the driver, front passenger, curtain, and side airbags are found here. Also, the Fortuner gets disc brakes all around, while the Terra gets drum brakes in the rear. Both vehicles have ISOFIX mounts for child seats, but the Terra lacks speed sensing door locks. 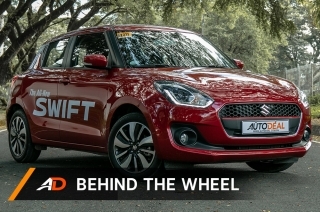 The Terra, however, features front and rear parking sensors, while the Fortuner gets them only in the rear. The Terra also gets a nod for including blind spot sensors and lane departure warning, something that the Fortuner lacks. The addition of an around view monitor on the Terra and the smart rear view mirror add another dimension of safety in this category, making the Terra a winner in the safety department. 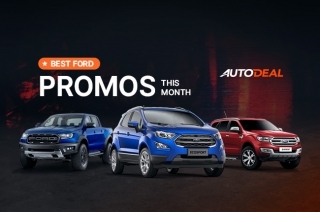 Both midsize SUVs have a good number of points to make when it comes to keeping their passengers comfortable and entertained during drives. 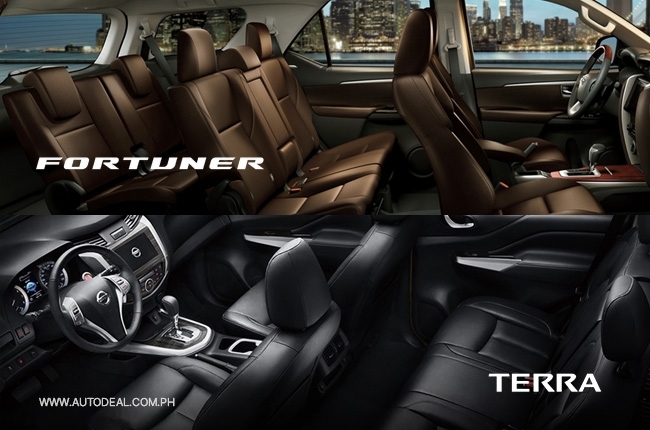 The Fortuner and Terra feature cruise control and leather upholstery. 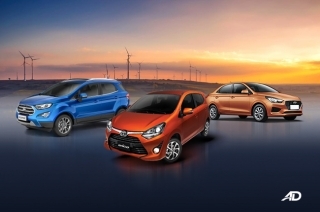 Both top end variants also boast LED lighting for safe driving at night. 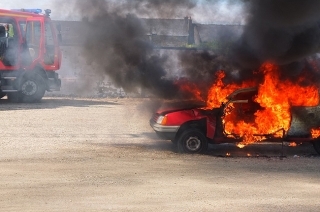 Both SUVs are keyless entry and have push to start ignitions. 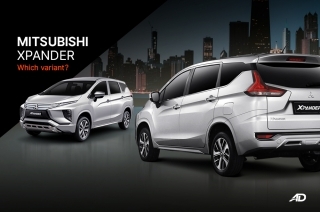 Hill start assist is also standard on both vehicles, as is hill descent control and switchable four-wheel drive modes and settings. The Terra does get a tire pressure monitoring system, however. 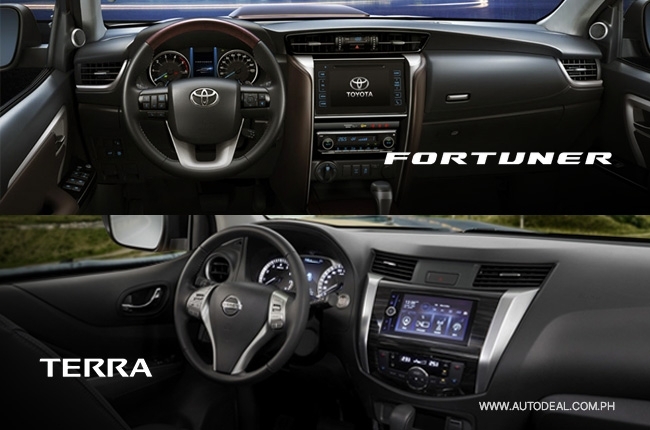 Where the Terra gets the upper hand is in the implementation of its infotainment system. While the Fortuner does have a navigation-ready head unit that can stream music via bluetooth and has DVD playback capability, the Terra does one up by including that and more with Apple CarPlay and Android Auto on a slightly bigger screen. Also interesting to note is the flip-down display that is available to Terra passengers in the second and third rows. The Terra also gets a nifty second row tumble via a single button, allowing easy access to the third row, while the Fortuner offers a power tailgate. We agree that the Terra takes this category and adds another point on the scoreboard. Well, that was pretty interesting. 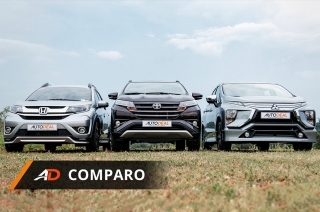 While the Fortuner has always been a solid choice in the segment, we have to accept the fact that players in this extremely competitive market have to keep on their toes in order to stay on top. 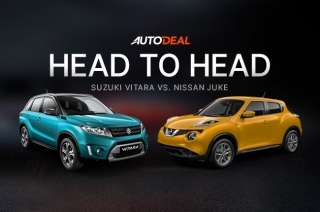 The Nissan Terra, despite being late to the game, seems to have chosen and combined the best ideas and features to offer a tempting package, winning all of our categories in this comparo. 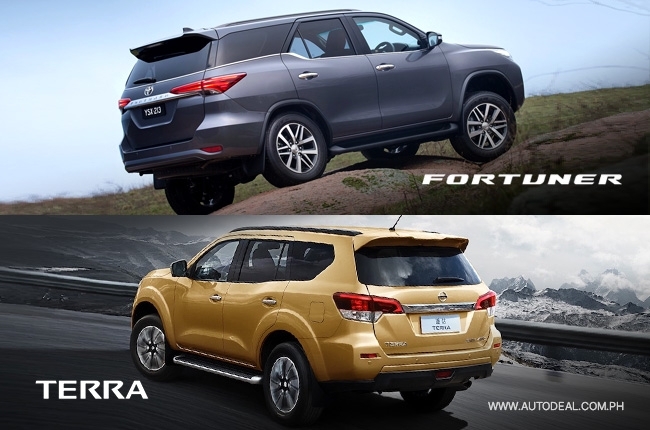 That’s not saying the Fortuner shouldn’t be on your list, all we’re saying, is that, by spec sheets alone, the Terra should be pretty much up there if you’re in the market for a midsized SUV. Of course, a test drive should always be in order, and we’re looking forward to doing a straight up driving comparison between the two very soon.